You may have heard before (even from our previous blog!) that Berlin is one of the coolest cities in Europe. Recent history has left its scars on the city and in the case of Kaiser Wilhelm Memorial Church literally so, even if in a beautiful manner (the blue glass bricks were put up due to the original walls being destroyed in World War II). Have you seen the excellent Joe Wright film Hanna? We won't give you any spoilers, but one thing I will say that doesn't affect first-time viewers is that one of the main settings is in an abandoned theme park in Berlin - Spree Park. It is beyond eerie and adds to the films atmosphere. If you follow us on Instagram, you may well have seen a few of our shots from this theme park before (if not, find us on Instagram here). We have heard many stories as to why it is abandoned, and almost all of them involve some sort of bureaucracy! The reasons for its continual closure are numerous and you can read them here. Despite this, Spreepark - opened originally in the late 1960's in then East Berlin as Kulturpark - is still an attraction for visitors to Berlin. The gates, guards and dogs don't seem to put many people off and it doesn't take that much imagination to work out how to get in. When you do, everywhere you look has a gem. It seems as if they simply pressed the 'stop' button on the last day and the rides stopped in their place, never to move again. They weren't put into storage or packed away out of the elements, they just stopped. Part of us thinks that maybe they thought they would be pressing the 'start' button sooner rather than later...it has been 12 years. To get here, we recommend coming via the Treptower Park S-Bahn as this allows you to also see the overlooked Treptower Park with its phenomenal Soviet War Memorial, statues and sarcophagus's. How many times have you flown to a city and thought to yourself, "if only the airport was in the centre of the city"? Berlin had one but it was closed down in 2008. It had a long and sometimes muddled history (as is the case with many places in Berlin and Germany) but it is the current phase which we find fascinating. The full name is Spätkauf but it is shortened to Späti and is another great example of how Germans have it right with regards to alcohol, going out and public order. There's even been poems written about them here. For those that asked, yes, we did go to Mustafa's for their world famous kebabs...!! What do you enjoy most about Berlin that's a little off-the-beaten-path? 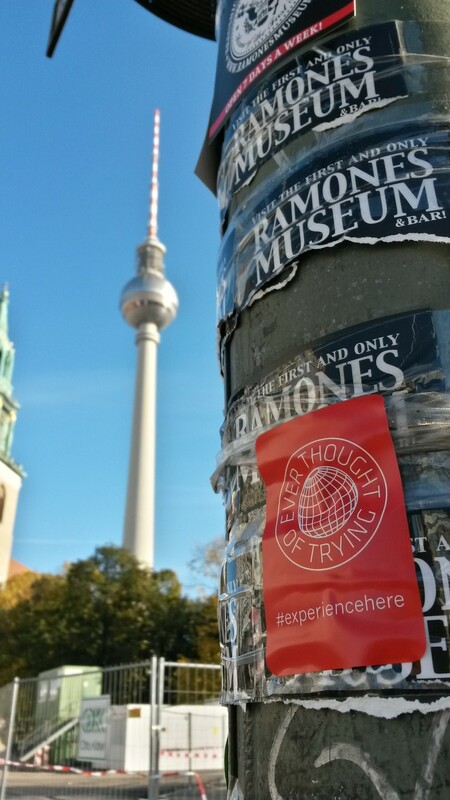 If you want to learn German in Berlin then click here for more details on the experience. Read more about the fall of the Berlin Wall here.